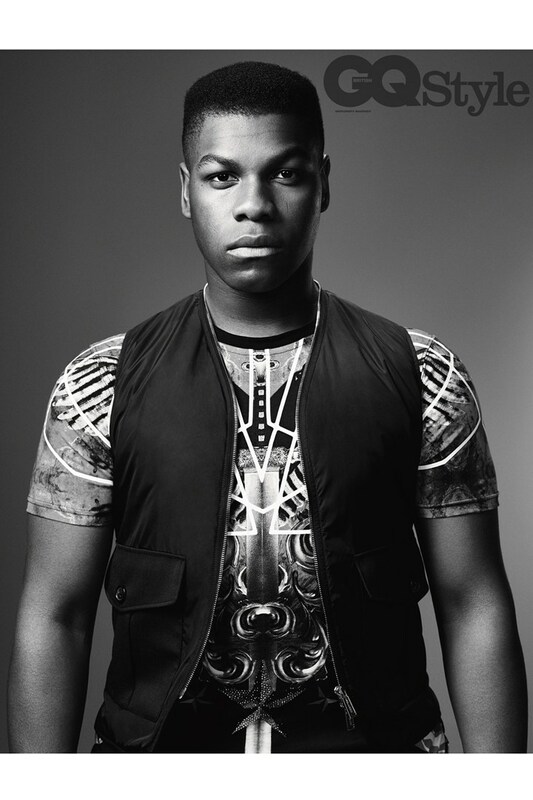 John Boyega wears t-shirt Philipp Plein and vest Dsquared2. Exploding on the big screen this December in Star Wars: The Force Awakens, actor John Boyega is one of British GQ Style's fall-winter 2015 cover stars. 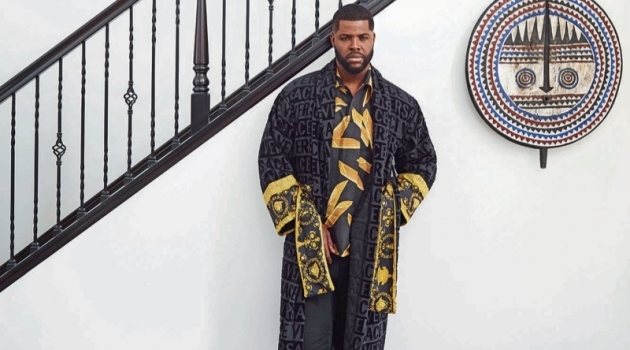 The English actor dons graphic fashions for the shoot, which was photographed by Daniel Sannwald with styling by Elgar Johnson. Not even the best psychics in Toronto could predict Boyega's breakout role. Dishing on the intense auditioning process for Star Wars: The Force Awakens, Boyega reveals, "I was unleashed into seven months of auditions. It was like The X Factor but without the TV show around it. It was intense." Reading the movie's script, Boyega confesses, "When I read the script I cried, and I'm not really a big crier... I'm more like a frog-in-the- throat kind of guy, who'll try to hold it in and make sure I don't let it all out." 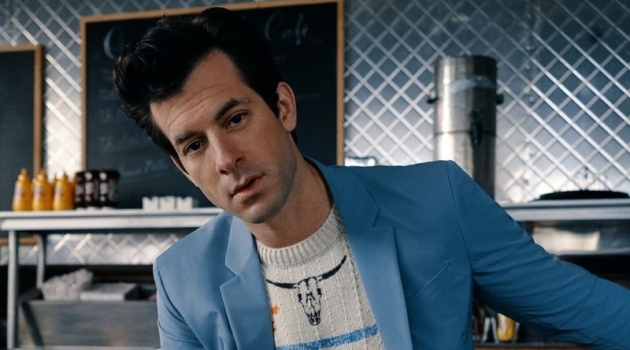 Read more on GQ-Magazine.co.uk. 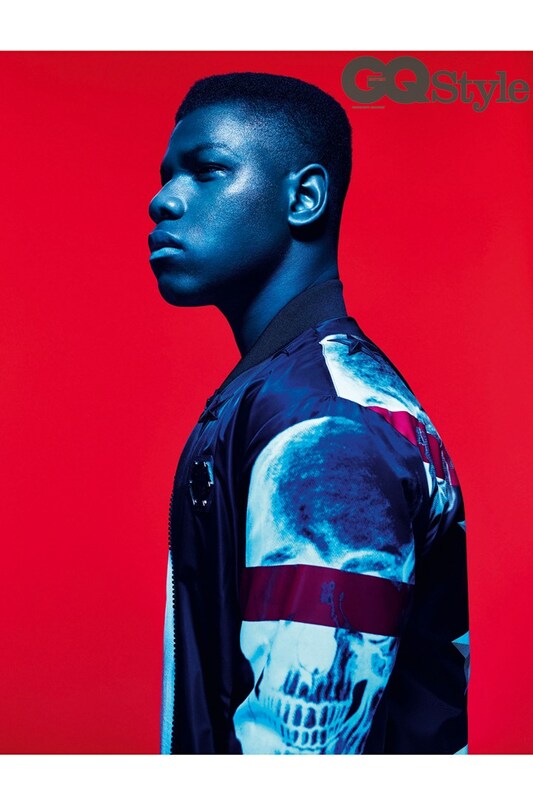 John Boyega wears t-shirt Sunspel and skull bomber jacket Philipp Plein.